The Friends of the Southwest Wine Center (FoSWC) are a volunteer group dedicated to raising both awareness and annual unrestricted funds for the programs of the Southwest Wine Center (SWC) in Clarkdale. FoSWC is a fundraising auxiliary of the Yavapai College Foundation. This includes support for the fundraising campaign, SWC academic programs, the student-run vineyard, the data repository and SWC student scholarships. The Southwest Wine Center serves as a gathering place for students, educators and industry leaders looking to spark innovation, fuel economic development, support regional and national collaboration, and provide a catalyst for research. Gifts will support annual academic and programmatic priorities that will provide the margin of excellence for our students and the community. Adopt-A-Vine is a year-round fundraising program that supports the Viticulture program students at the Southwest Wine Center. Adopting a vine in someone’s name is such a wonderful way to commemorate a friend or loved one who is no longer with you, or you can give the gift to someone who is special in your life…or adopt one for yourself! So if you’re seeking a unique birthday, Mother’s Day, Father’s Day, or even wedding gift…we would suggest adoption. Of vines that is! Includes a personalized metal name tag placed on vine(s). Share a personalized copper marker displayed on an end-row. Exclusive personalized copper marker displayed on an end-row. The Founders Wall will serve as permanent recognition of those supporters who shared in the vision that together we can build on the area’s rich farming heritage to create a vibrant wine producing region. 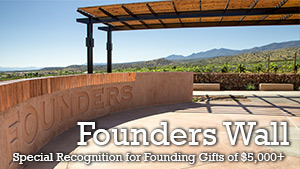 The names to be engraved on the Founders Wall will include individuals, families, foundations and corporations who contribute $5,000 or more toward making the Southwest Wine Center a reality. Their philanthropy will reflect all types of giving, from support for students, faculty, programs and research to funding capital projects and deans’ and directors’ priorities. 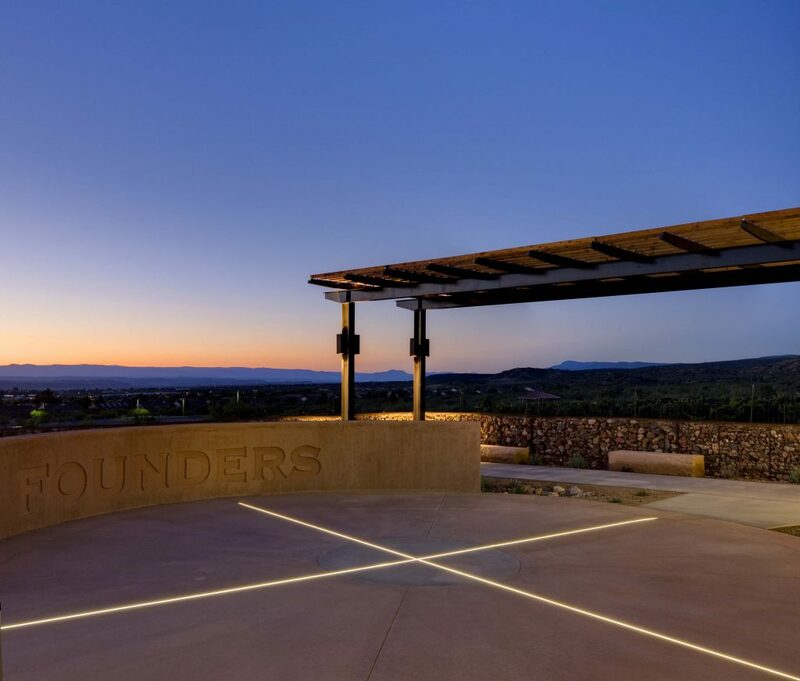 Purposefully positioned adjacent to the new teaching winery, the wall will greet visitors and stand as a tangible reminder of the central role that these founding donors and their philanthropy played in establishing the Southwest Wine Center at Yavapai College. Contact the Yavapai College Foundation and learn more about investment opportunities. The Family of William C.